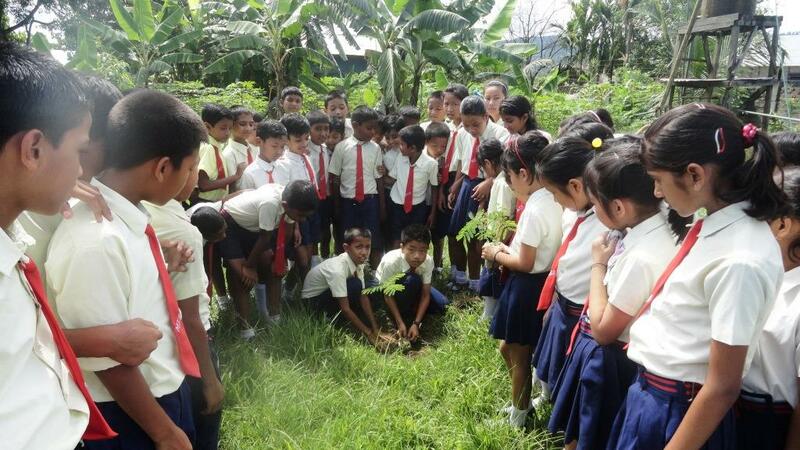 The Diocese of Miao celebrated the World Environment Day on June 5, 2014, planting trees and with rally to spread awareness about the importance of safeguarding the Mother Earth. World Environment Day is an annual event that aims at being the largest and most widely celebrated global day for positive environmental action. World Environment day activities take place all year round and climax on June every year, involving everyone and everywhere. Most of the School in Miao diocese too observed the day with planting trees and awareness rally. Awareness was also given to the students on environment by sessions and video clips. The staff and the students of many schools in the Diocese were very enthusiastic to be a part of this event. They planted various types of plants and trees and cleaned the school premise to preserve the sacredness of the Earth. “We have only one Earth. Let us safe-guard it”, said a student from Light of the World School, Miao. “Celebration of this day has certainly helped me to be more concerned about preserving our Mother Earth”, said another from Newman School, Neotan. To support the cause of the preservation of Mother Earth and to mark of the Year of the Family in the Diocese, Bishop George has requested every family in the Diocese to plant 12 trees.